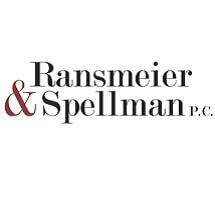 The law firm of Ransmeier & Spellman P.C. is dedicated to providing the highest level of professional legal services for our clients throughout the state. With a focus on litigation and probate law, we offer representation in a wide range of matters including business and commercial law, real estate, land use, employment and governmental liability. Since we opened our doors in 1979, our law firm has been grounded on the principles of striving to achieve the most favorable outcome for our clients, in the most strategic, efficient and intelligent manner, while treating everyone honestly and fairly. We work closely with our clients to help them achieve their goals and to provide them with the information they need to make the best decisions. Our staff uses the latest technology, and is up to date on the most current developments in the law, which allow us to handle complex and sophisticated matters. Our original four founding attorneys have grown into a team of 14 attorneys, and each one offers a wealth of experience and knowledge to our clients. Our attorneys serve our legal and local communities in a variety of capacities. Ransmeier & Spellman P.C. regularly appears on behalf of clients in state and federal courts.